Introduction The industrial and commercial business users make use of industrial outdoor LED Flood Lights thinking that they will get the best out of these lights but often that doesn’t quite happen and one of the reasons is not having sensors such as motion sensors. These sensors by detecting motion alert you by first sending signal first to the control panel which in turn sends signal to the monitoring center. And, for getting alerted, you don’t need to be physically present near the site where these LED flood lights or motion sensors are installed. For such reasons, it’s important have an accurate understanding of motion sensors and which is being discussed here. These sensors are programmed to react not only to the movement of any human being but also to the movement of animals and objects. 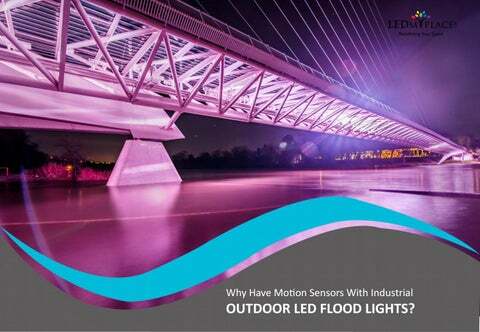 Motion sensors help the users of industrial outdoor LED flood lights in the following ways.  They alert you when someone reaches the building door.  These also capable of notifying you of any pets if they have entered a nondesignated area.  These bring savings in energy on top of what you already save by having LED flood lights, by turning the flood lights On, when a passerby passes by and Off when there’s no one.  These motion sensors can be remotely operated and operated hands-free.  In a nutshell, these sensors not only save you energy but also protect you from intruders. 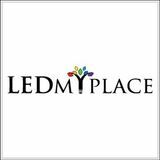 Now, how to make the correct choice of motion sensors to get the best out of industrial www.ledmyplace.com outdoor LED flood lights. You have got two choices here.  Built-in motion sensors.  And, external motion sensors. With built-in motion sensors, you have only one advantage and that is -- these are easy to install. As far as the designs are concerned, you have good designs in both -- flood lights with or without motion sensors. The advantages of external motion sensors far exceed those that are in-built.  You can pick your own style out of several styles available in the market.  No need to have too many sensors when one sensor can work good enough for multiple LED flood light fixtures. You just need to take care of the total power consumed by all of these fixtures and you must consult an electrician for the highest limit of consumption.  Though, these can get expensive, they work better by being installed little far away from the flood light Fixtures. You must take into account detection radius and detection distance that you wish to have. Conclusion The merits as stated in this presentation must be enough to get hold of the right kind of motion sensors that can go with the industrial outdoor LED flood lights you purchase and those that hold some utilitarian value. What is the Use of Motion Sensors in LED Flood Lights?